Ahhhh, the sweet taste of freedom! The school year officially ended for both my boy and I today at 12pm. I have much to post regarding my boy Z's Kindergarten Graduation, our summer plans and my general state of being after being released from the role of working mom just hours ago....but I can't really wrap my head around any of those things at the moment. I refuse to process that Z has finished his first year of formal schooling. I will not accept that in 9 months time he has gone from a virtual baby to this big kid who knows things like how to read, and add numbers, and the life cycle of a caterpillar, and how to add the word "fart" into any song and make it work, and who Justin Beiber is. It's just too much. It's also going to take me a week or two to stop dreaming about IEP meetings and deadlines I've missed and reports I need to write and parents who's only catharsis of the week involved screaming at me. I need to decompress. Also-it occurs to me that it's been many days since anyone has done any laundry around here so I should get on that I suppose before I regale you with the tails of my last week and upcoming plans. 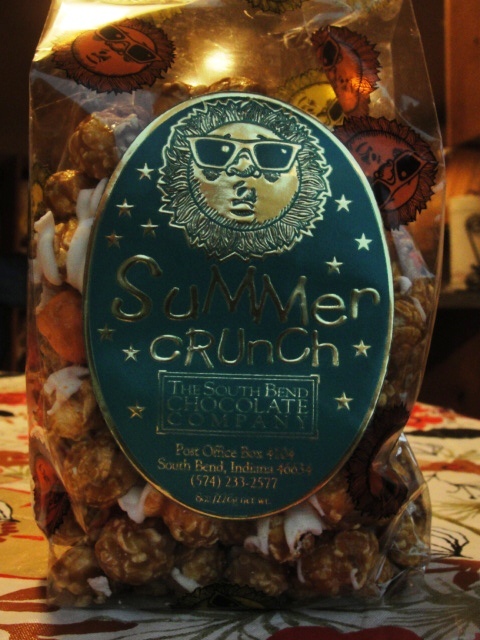 It's called Summer Crunch-it's a delightful little bag of caramel corn mixed with colorful citrus candy pieces. How cute is this? Here, I found the link...it's made by The South Bend Chocolate Company. Love this! 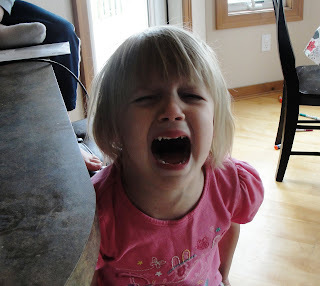 So help me God....I couldn't love this little imp more but there are days that launching her into space sounds like a really great idea....please tell me this 3 year old insanity won't actually last until she's 4. Miss Thing and I are going to need to have a Come To Jesus meeting very soon or it's going to be a long summer. 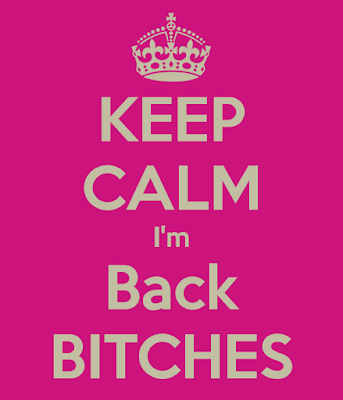 See you soon (and much more frequently from now on)!